Nevada! 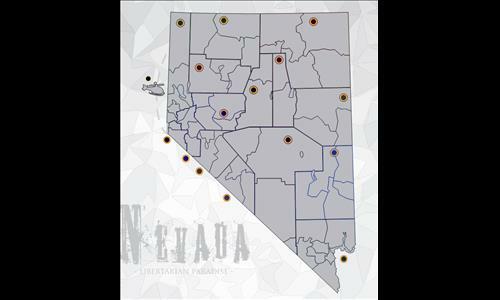 Often called the Silver State is best known for being the most libertarian state in the union and a tax haven. Citizens enjoy a wide range of liberties including lower tax rates and loose restrictions on almost everything. Note that this map was already in development before the mass shooting in Las Vegas happened, and is not trying to tackle the reputation of the state. The ancaps are already doing that for us. Map is inspired by Smedley's teachings on anarcho-capitalism and is protected by his blessings. Review by Belgian Gentleman on 10/9/2017. Review by Daryle on 10/19/2017. Fun Map needs some serious backdoors though.